Welcome to Week 13’s Punt, Pass, Play. This is one of the biggest weeks in all of fantasy football. Personally, I’m battling in TWO dynasty leagues for a Bye week in our playoffs. Currently I am second in one league, but can easily slip into the #3 seed and be forced to play. In the other league, I play the top guy in my division and can usurp the #1 seed if the other top team loses and I beat the top guy in my division. I’m sure many of you have similar situations, so I feel the pressure for this week’s article. This week’s pre-playoff edition will consist of three running backs with fresh legs and a hungry, determined attitude. We are looking at Gus Edwards, Josh Adams and Austin Ekeler. Yes, Josh Adams received the lion’s share of touches last week. Yes, Josh Adams is averaging a total of 5.2 YPC on the season. However, when given a workhorse role, he went for 22/84/1 (3.8 YPA), a respectable output from a fantasy perspective but not so much for real-life football. Oh yeah, in case you forgot, the Washington Redskins front seven is one of the most elite fronts any team can run against, holding players like Christian McCaffrey to 66 yards on 15 total touches and Saquon Barkley to 38 yards on 13 carries. If that isn’t enough, the Redskins rank eighth against the run and only allow 20.9 points per game. Oh yeah, the Eagles RB coach Duce Staley also said that Adams is still part of the committee approach. Whether that’s coach speak or not, it sounds like Clement may still have a role. With the playoffs looming, I’m punting Josh Adams this week until I see more from him. From a dynasty perspective, I am skeptical of Josh Adams. 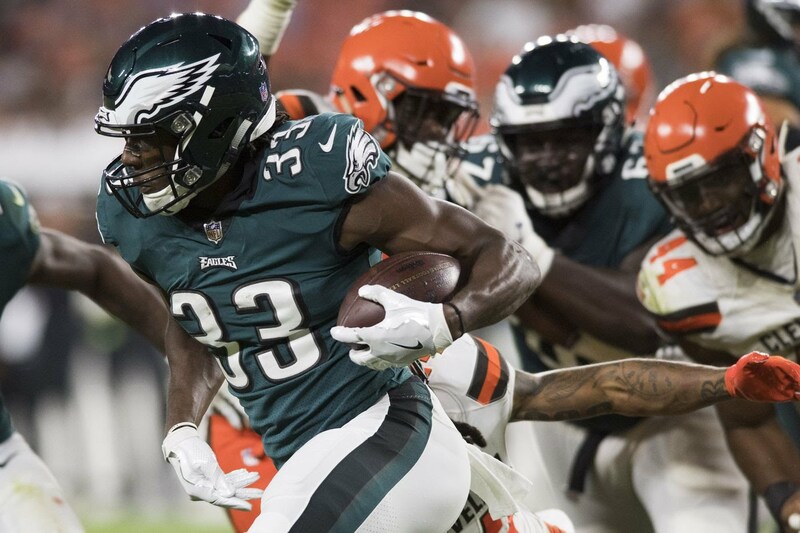 He has shown flashes to be the guy in Philadelphia, but I am not entirely sold on him just yet, especially since the Eagles tend to keep the committee approach at running back. Add that in with the fact that Jay Ajayi is back next season and Corey Clement having a role in the passing game, this may be a backfield to avoid for the long-run. Try selling Adams during the off-season. The magic number here is three. Three games is how many times Austin Ekeler has had at least 14 total touches. 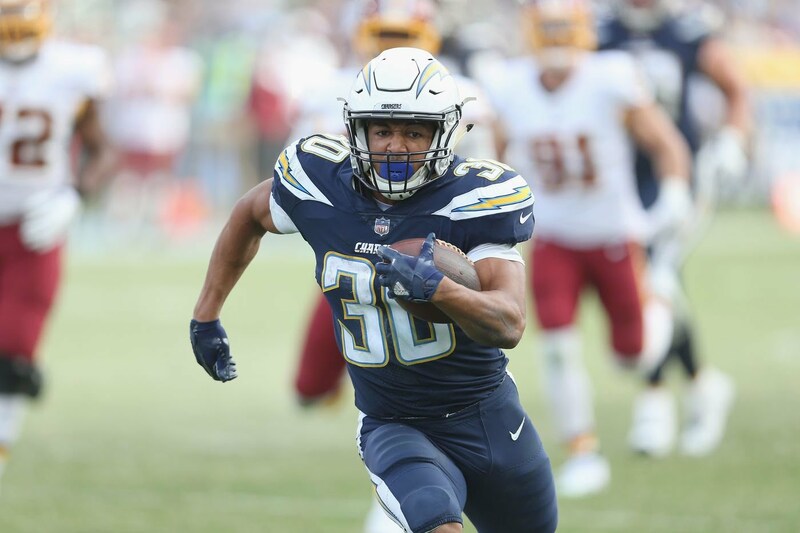 The last time Ekeler filled in for Melvin Gordon, he went 12/42/0 rushing and 5/26/0 receiving, good for a solid floor of 11.8 PPR fantasy points. That’s nothing to get excited over. Justin Jackson also went 7/57 (8.1 YPA) last week, proving he should siphon touches from Ekeler as well. Throw in the fact that the Pittsburgh Steelers rank ninth against the run, Ekeler will be nothing more than a solid floor RB3/FLEX this week. Ekeler is nothing more than a volatile FLEX in the long-term for dynasty. He will provide some decent floor numbers, but floor numbers never win a fantasy championship and Melvin Gordon is expected back sooner rather than later. If you are a Melvin Gordon owner, I would say seek out Ekeler as a handcuff, but nothing more. Otherwise, try to bundle him in a trade during the off-season. Even with the likelihood of Deion Jones returning to the field for the Atlanta Falcons, I’m confident in Gus the Bus running down a porous Atlanta Falcons defense that allowed Mark Ingram go for 11/52, Nick Chubb go for 20/176/1, and Zeke Elliott go for 23/122/1 on the ground the past three weeks. And while Gus Edwards hasn’t proven himself to be any of those guys, he’s strung together back-to-back weeks of 100+ yards and is averaging 5.95 YPC in those two weeks. You could argue those were against the Bengals and Raiders, and I would say you’re proving my point. In fact, he’s got the Falcons, Chiefs and Buccaneers the next three weeks, putting him in a high upside RB2 spot. Add in the fact the Falcons are allowing nearly 28 points per game, I’m going all in with “the bus” even with his limited practice this week with an ankle injury. I’m legitimately stumped on where to value Gus Edwards. 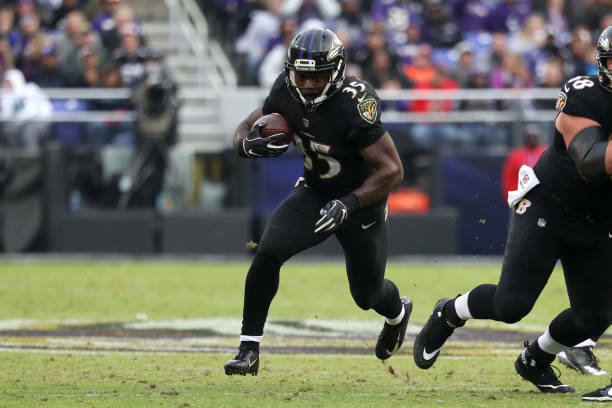 The Ravens haven’t seemed to fully commit to any one running back throughout the season. They work in stints and eventually reps get split. Edwards can make a case for himself against horrible defenses this year, but Kenneth Dixon is about ready to return and Buck Allen has proven worthy in the passing game. Not to mention Alex Collins is still around. The value of Edwards could sore after the end of this season. Personally, I would lean toward selling high for a high pick or working a bundle deal for another high end player. To summarize this week’s Punt Pass Play, Josh Adams needs to show me some more before I risk a fantasy playoff roster spot. Austin Ekeler is a fair FLEX play and is upgraded to RB3 in PPR. Gus Edwards should have a field day against a horrible Falcons defense as long as the ankle holds up. For more fantasy advice, add me on Twitter (@ricco_3733) or ask via email at Riccadonna3733@hotmail.com. Until then, I’ll see you for the Week 14 playoff edition of Punt Pass Play! Want more Punt Pass Play, CPGM content? Sign-up for our FREE Newsletter. Thank you. Started in Wordpress and then expanded on it.